Landscaping not only adds enjoyment and value to your home, but it can also be used to solve many problems such as weather, privacy from neighbors, and water flow. Here we’ve listed only a few of the issues we’ve turned into positives over the years. Bring us your landscape problem. We have the solution! Reduce Heating/Cooling Bills With Landscape! Planting shade trees on the south and west sides of your house will reduce both your heating and cooling bills. They will shade the house during the summer, and water is continually evaporating from the leaves for an additional cooling effect. When the leaves are off in the winter, they will allow the sun to shine through and warm your house. They will also give some winter wind protection, because, even with the leaves gone, the branches will help to break up the wind. 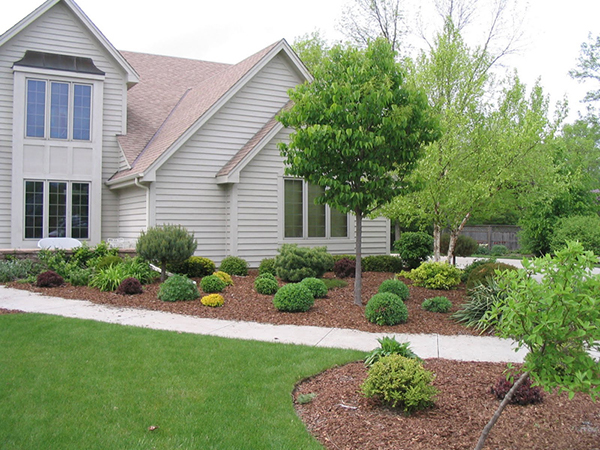 Evergreens planted on the north and west side of your yard will stop the wind for about five times their height. A tree that grows to be thirty feet tall, will give good wind protection to a home one hundred and fifty feet away. 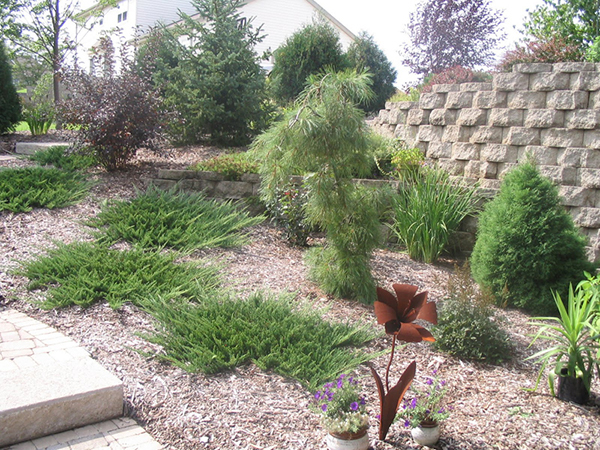 You can save a lot on heating bills with strategically placed evergreens.